For the third consecutive year we invite to our beautiful village. In the full moon of August 29 on a musical journey dedicated to Manos Hadjidakis. The wonderful melodies will be presented by separate Miltos Logiadis on piano and Chris Zerbinos accordion. Singing Elena Papanikolaou and Vasilis gisdakis. Music Start Time 21:30 – Suggested arrival time from 19: 00 *. * Come with your friends from early to enjoy the unique colors of the sunset, the archaeological site and the gorge. -KEEforeia Prehistoric and Classical Antiquities. Regione Crete – Regional Unit of Chania. -Municipality Kissamou-Benefit Enterprise of Kissamos Municipality. Rocca The village, located 15.5 km. From Kastelli Kissamos, and 35km from Chania. On the hill which dominates the village, there are ruins of Byzantine castle, with residues from tanks and buildings. The Venetian name of the castle is «rocca», and therefore the whole village called today Rokka. 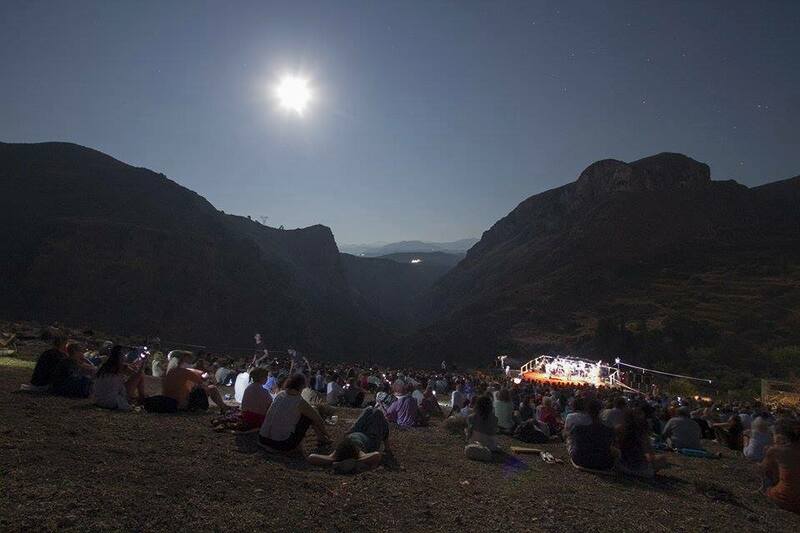 The concert takes place on the hillside to the west limits of which the gorge of 2km length Rokka extends starts near the village of Deliana. The view and the feel of the place that the visitor is truly unique.